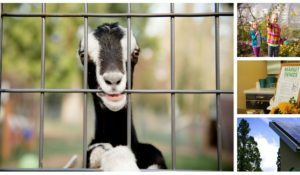 Hi, my name is Anya Gedrath-Smith and, as the Farm Field Trip Coordinator at 21 Acres, it was a pleasure to welcome school groups to the farm this past spring. Once the weather started to warm, and the ground began to dry, farm field trips began in full swing! 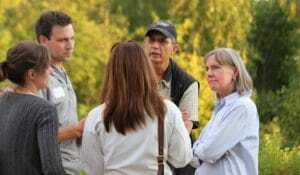 Students of all ages arrived and participated in an array of food- and farm-related educational activities. Students set off on scavenger hunts to learn about the “Fabulous Five” plant needs, transformed themselves into an imaginary compost cake, learned about the scarcity of farmland and the value of sustainable agriculture, designed their own seed packets, and put on their chef hats to bake tasty and nutritious kale chips. We certainly had our fair share of educational fun at the farm, but students also worked hard to help build our new Children’s Garden. It really did take lots of hands to make light work. With the help of many volunteers, we successfully built and planted a 1400 square-foot garden replete with all kinds of kid-friendly features. At the site, you’ll discover a rainbow root garden surrounded by a sunflower circle. You will definitely want to crawl through the cucumber tunnel or hide out in the bean teepee. 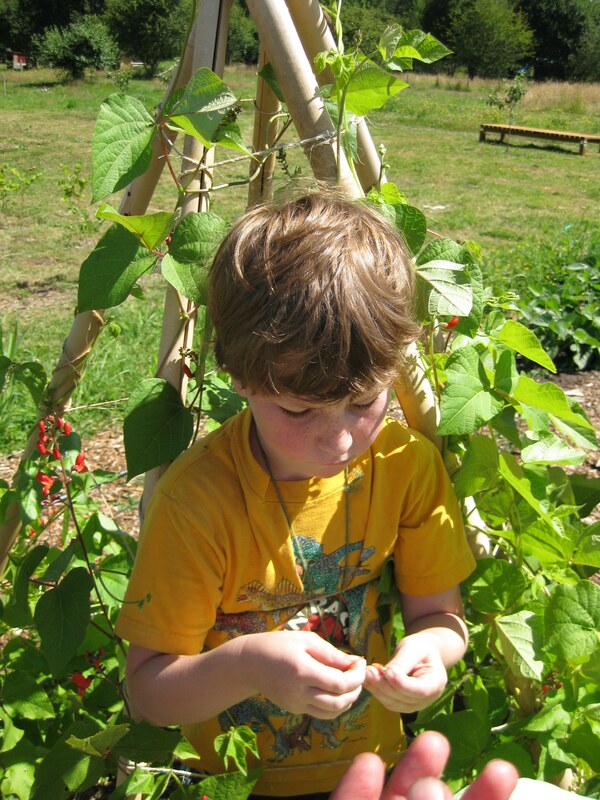 Curious kids will discover that you can grow a pizza in the pizza garden, or celebrate companion planting in the three sisters garden. 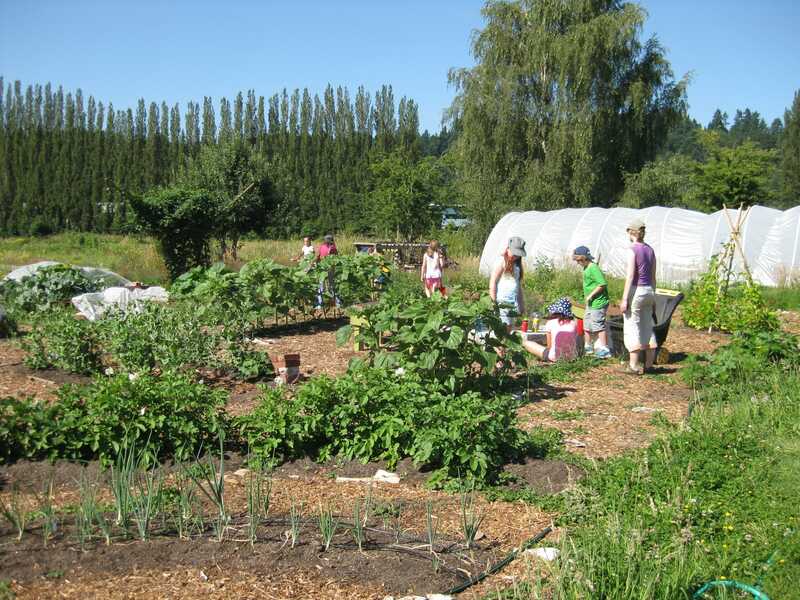 Beyond these features, we built and installed nine raised beds for growing a hearty mix of farm-fresh produce. 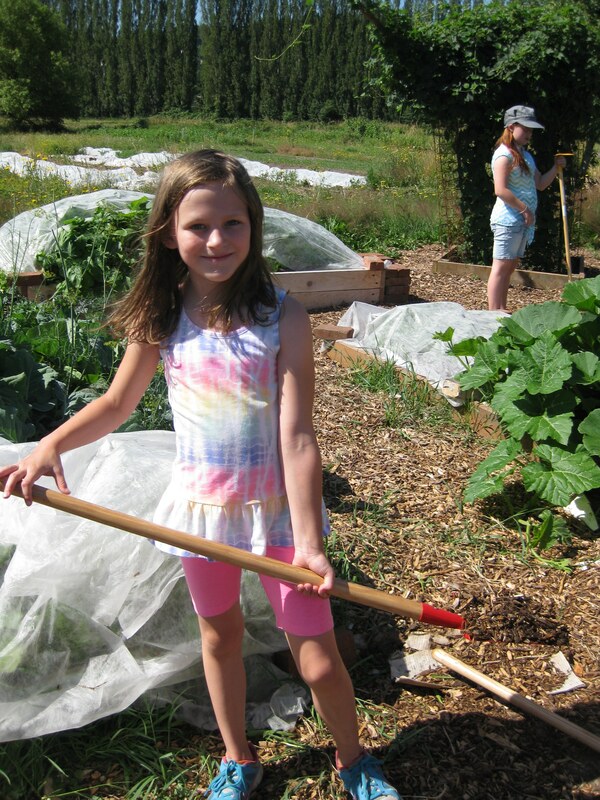 The 21 Acres Children’s Garden sprang to life this summer! 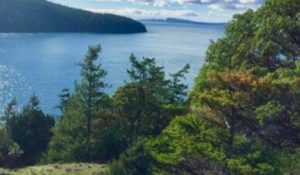 In collaboration with Seattle Tilth, we had the pleasure of hosting and running three summer farm camps this year for children ages 7-11. Each week of camp focused on the Farm-to-Table process and centered around its own unique theme, starting with Grow-A-Pizza, followed by Telling Farm Tales, and finishing with Explore and Create. 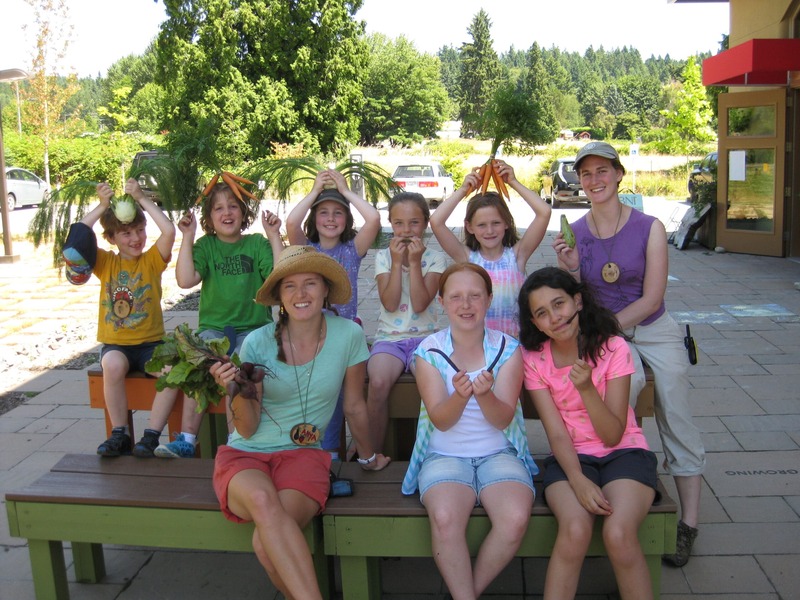 Children spent every week learning about the origins of food, maintaining the garden, engaging in artistic projects, singing camp songs, observing bees and other pollinators, and celebrating the harvest through a culminating cooking project! 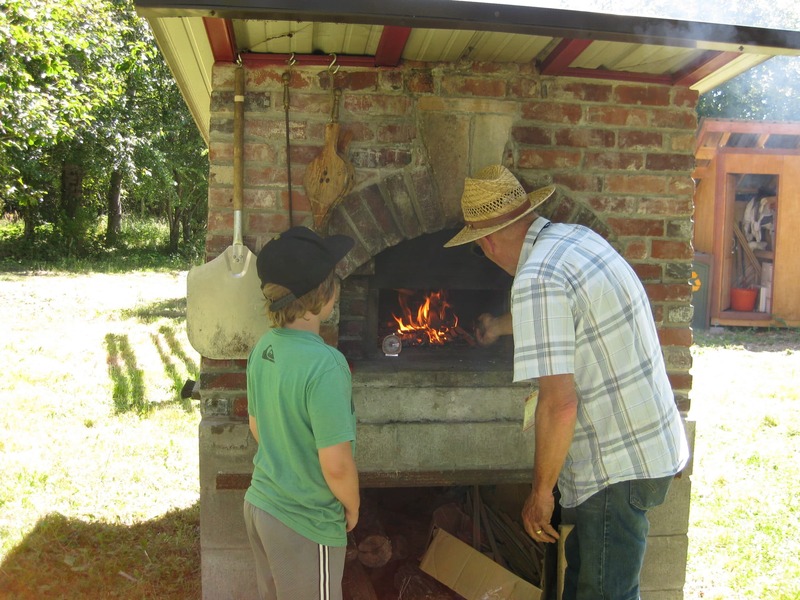 Grow-A-Pizza campers involved themselves in every step of making a pizza, from grinding wheat, to making cheese, to lighting the wood-fired oven. 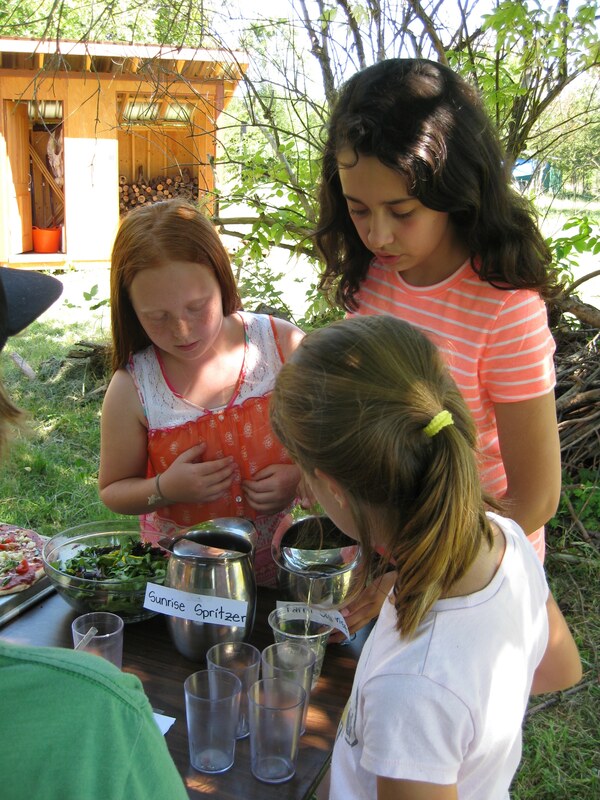 In Telling Farm Tales, campers learned about the Three Sisters: Corn, Beans, and Squash, and celebrated this Native American planting technique by making homemade quesadillas and salsa. Along with crafting egg-cup insects and painting bee boxes, Explore and Create campers learned how to make an blackberry pie using farm-fresh ingredients. Here’s a huge thank you to all the campers that made summer at the farm such a success!